❝ Communication skills are “dramatically more important” today than they were twenty years ago. That’s according former Cisco CEO, John Chambers, whose track record is nothing short of astonishing. In his twenty years as CEO, Chambers grew the networking company from 400 employees to 70,000 and from $70 million in sales to $47 billion a year. If you’ve ever seen a John Chambers presentation in person, you’ve witnessed something special. Chambers built a reputation for electrifying audiences around the world with a captivating speaking style. Although he delivers presentations about complex topics, he speaks simply and makes the audience feel as though he’s having a one-on-one conversation with each and every person. He walks among the audience and can speak for up to an hour with no notes. 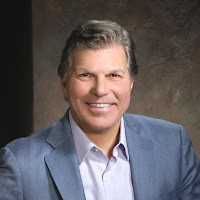 CARMINE GALLO is a best-selling author, popular keynote speaker, and advisor to the world’s most admired brands. Watch him talk about the role of passion in success below, and learn more about booking Carmine for your next event today.